These are from our drive through Wyoming just a few days ago. We somehow slipped through a little crack in the storm in order to avoid the worst of the weather, but the clouds were beautiful, especially with the mountain background. It’s definitely winter, and the holidays are just around the corner! 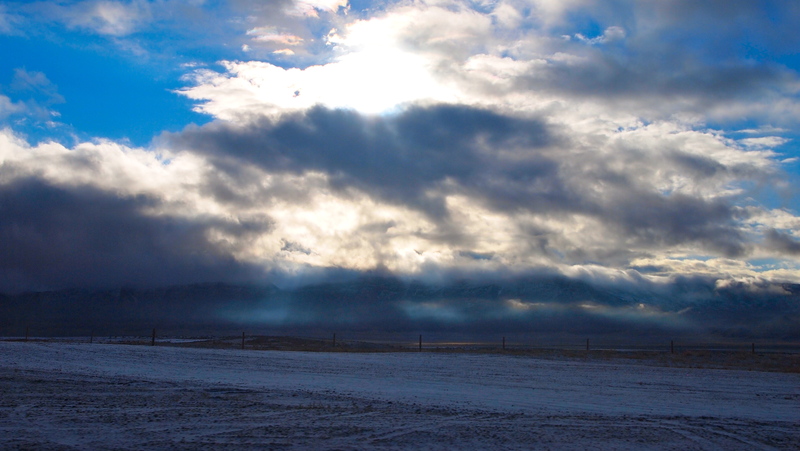 This entry was posted in Photography, Travel & Adventure and tagged Clouds, Mountains, Olympus E-PL1, Photography, Road Trip, snow, travel, Wyoming. Bookmark the permalink.